This year, my attention is on the power of advocacy and the opportunity for us to make a difference, as a Jewish community, in environmental policy. After spending a year with Jewcology and Canfei Nesharim focusing my attention on Jewish learning on the environment, and a second year focusing on action, I’ve come to understand that real change also requires a third piece: joining with others as citizens to make a difference. That is why, this year, we’re focusing on a Year of Jewish Policy Engagement on the Environment. We are blessed to live in a democracy like the United States, which gives us the power to influence our politicians by our votes. No matter how much money is poured into politics, it won’t rule the day if all citizens take their responsibility seriously, learn the issues, speak their mind and vote their conscience. Unfortunately, many of us have been cowed by confusion and perceived corruption, and distracted by entertainment and day-to-day pressures. If we give our power away, there are many who will be glad to take it from us. 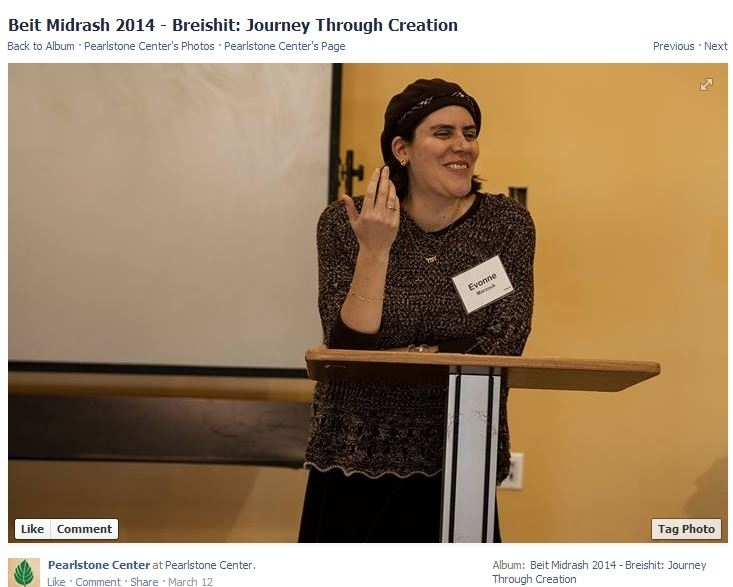 I was fortunate to have the opportunity to express this view on Sunday, March 9 at the closing plenary of the 6th Annual Pearlstone Beit Midrash. We had spent the weekend learning Torah on each of the days of the creation of the world, including some explorations of our own opportunities for individual action. At the closing plenary, the continuation of action on “Day 8,” we took the next step by exploring our own advocacy potential. We began with a dvar Torah from Rabbi Fred Dobb of Adat Shalom Congregation in Bethesda. Then, we looked at what makes advocacy seem hard, such as uncertainty about how and when to get involved, disagreement on specific issues within our communities, and the need to fight against other powerful interests. We also looked at why advocacy is so important, and realized that we can make a real difference if we join together as a community – but if we don’t claim our power, others will. Joelle Novey, from Greater Washington Interfaith Power and Light (GWIPL), explained the opportunity to become an ally community as part of other, broader campaigns. She invited participants to build relationships with other environmental organizations, such as Interfaith Power and Light, that are working in their local region, so that they will hear about the most important activities where their communities can make a difference. These ally relationships have the benefit of creating trust so that we don’t have to learn every detail about every single topic, or run our own independent campaigns, but be deployed in larger campaigns where our participation can make a meaningful difference. In 2010, I decided to create a “sustainability circle,” a group of people in my local Jewish community who care about the environment. It was a kind of book club where we would talk about different environmental topics – and a kind of support group for environmentalists. We learned about local recycling rules, composting, and community supported agriculture. We heard from local members who were raising goats and chickens. We formed connections with each other and created a place in the community for these dialogues. We also formed a relationship with the local Interfaith Power and Light, led by Joelle Novey. One day in the fall of 2011, Joelle came to me and said we had this amazing opportunity. There was an important Offshore Wind Power bill in committee in the Maryland House of Delegates and our local representative, Delegate Ben Kramer, would play an important role in the committee vote. We just needed to use our existing community networks to encourage people to support wind power. We had a presentation from someone in the Maryland Energy Administration. We made calls at the key time. I was able to speak, representing our community, at a Town Hall Meeting. And then, in 2012, we sent Del. Kramer his first ever Tu b’Shevat card, thanking him for his support of sustainable energy. The news was even covered in the Washington Post. That year, Del. Kramer changed his position to supporting the bill. The next year, the wind power bill passed, and we’re on our way to having offshore wind in MD. What I learned from this process is the difference that can be made when I build networks in my own community, and offer them as an ally community to be deployed as part of a larger campaign. At the end of the session, Rabbi Baruch Rock of Gesher Jewish Day School in Fairfax, VA, facilitated an exercise in which each person recognized the difference that they have made through their actions. We realized that although sometimes we think it’s difficult to have an impact, we’re actually touching people’s lives and bringing goodness into the world with so much of what we do. If we’ve been able to do that without even trying, imagine what we could accomplish if we joined together! I’m so grateful to the coordinators of the Pearlstone Beit Midrash, who welcomed the opportunity to begin the conversation about advocacy with participants who had spent most of the weekend learning Torah. It’s a recognition that while Jewish learning and action are very important, if we are truly committed to environmental change, we also need to be willing to think bigger. 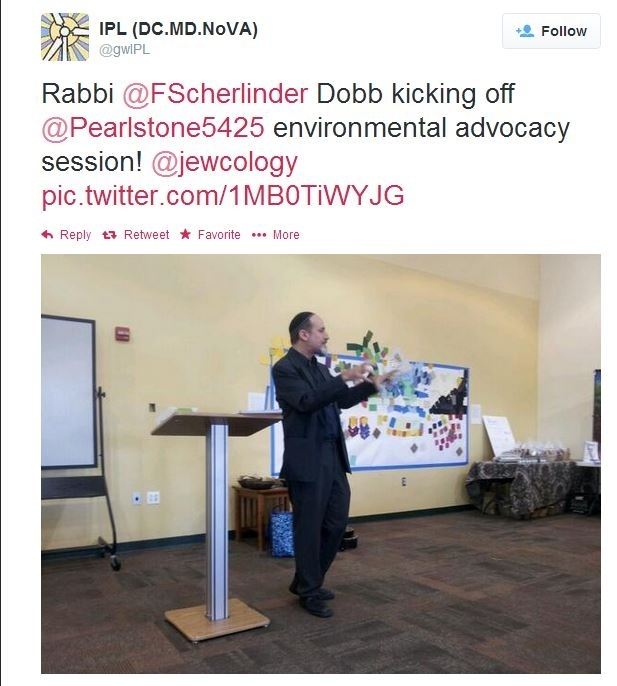 I hope this is a direction into which the Jewish environmental movement can continue to grow in the coming years. 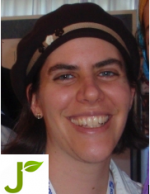 Learn more about the Basics of Advocacy for Jewish Environmentalists, and sign up for our latest webinar on March 31!